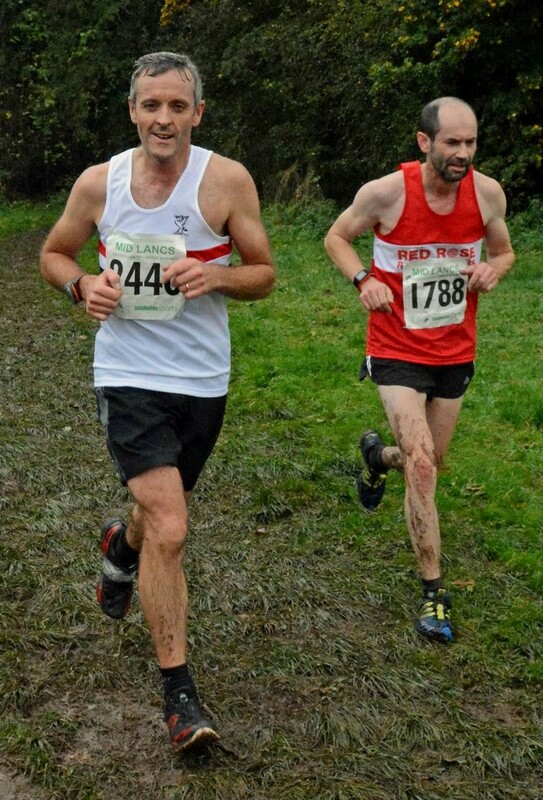 Cuerden Valley Park was an ideal venue for the second Mid-Lancs’s race of the season, with its steep slopes providing a demanding cross country course. It made little difference to Dan Jones who put in a commanding performance to win the U17M race by 14 sec. Brother, Adam was 3rd and with Ross Harrison in 4th, the team victory was secured. they were backed up by Matt Richardson (9), James Metcalfe(12) & Thomas Corlett(15). The senior women agonisingly lost out on top spot by one point. 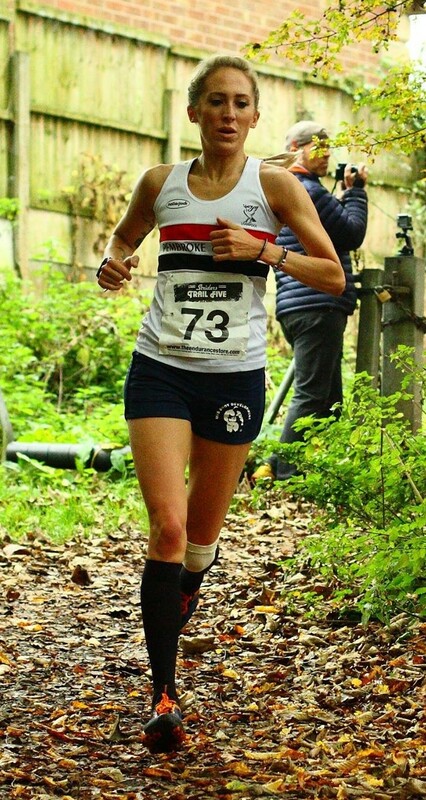 Kirsty Longley was 2nd, but first O35, Helen Sahgal, fresh from her victory at Standish Trail race, was 6th,Vicky Jones 25th and Kirsty Mackenzie 78th. Also finishing in second place was the U15B team. Tom Dickinson (3), Joe Houghton (8) and debutant Fletcher Foster(13)put them 4 points behind winners Blackpool. Oliver Sutcliffe(17) and Matthew Russo(20)completed the team. Both U13 teams finished third. Jake Dickinson(6), Mark Roberts(8)& Thomas Ralfs(12) were the team counters, but they were well supported by Jack Hitchmough(16), Nicholas Usher(17),Jake Ferreira(39) and Daniel Rathbone(44). The girls team was led home by Gabby Morris in 9th place, with Olivia Morgan(16)& Emily Williamson(25) being the other team scorers. In the same race were Niamh Doyle(26),Freya Wissett(32),Imogen Fearon(35) and Ruth Usher(36). Finishing in 4th place were the U11B and U15G teams. James Read was the first home for the boys in 13th place, just ahead of Josh Price(150, Isaac Dickinson(17) & James Roberts(18th);Jamie Cowen(45) completed the team. Lois Owens(8)led the girl’s team home, with Annabel Corlett(12)& Amelia Hitchmough(17)making up the team score. They were supported by twins Rachael(22) and Jennifer Sutter(26). A bit of club history was made in the final race of the day, when John Dickinson ran in the senior men’s race. After watching his four children compete, John became the fifth family member to run, finishing 31st in the O50 category. He was joined by Andrew Foster who finished 44th in the O40 category. Over at St Helens Lisa Gawthorne made a welcome return to racing after her knee operation finishing 2nd in a very hill trail race. 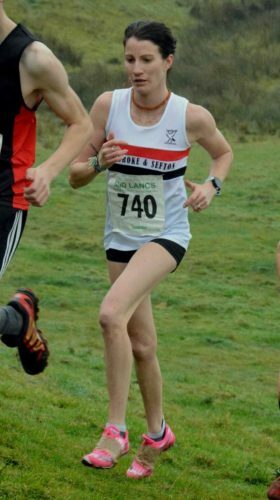 Lisa hopes to be back on the cross country circuit in January. 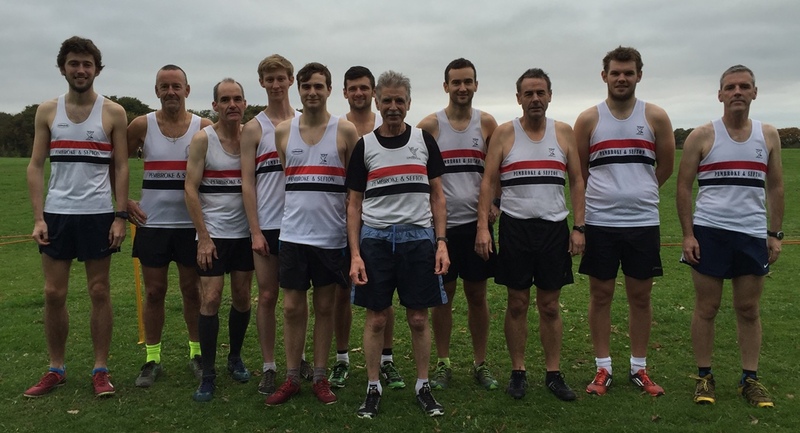 There was a good turn-out of the club`s senior men at Arrowe Park for the first of the Liverpool and District Cross Country League matches. Missing several key runners LPS were not expected to repeat their customary second team placing. The standard has gone up somewhat this season with a vastly improved St Helens Sutton squad chasing the victorious Liverpool Harriers and both Wirral and Wallasey packing well. LPS had to settle for fifth on this occasion but can reasonably expect to improve on this later. First home was James Loftus(16) with a trio of team mates, Sean Kirkbride(22), Peter Gaskell(23) and Richard Weeks(24) showing well. It was a delight to see veteran Bernie Murphy(43) back in action and another seasoned Vet John Halson(51) closed in for the club. Five more made the trip Danny Gilbody(52), Robbie Wood(73), Mike Bride(77), Mark Hudson(96) and the club’s fabulous 70-year old, John Dobie(136). Although the result might have been labelled `disappointing’ there was a good feeling in the camp and improvement is guaranteed.